Christopher (“Happy”) Tan is Grameen Foundation’s CEO for the Asia Region, where he is responsible for defining and executing the organization’s regional long-term strategy and overseeing its various investments and programs there. A native of the Philippines, he has almost 15 years of experience in development finance, nonprofit management and public interest law, having worked for ShoreBank Advisory Services (SAS), the Local Initiatives Support Corporation (LISC/Chicago) and SALIGAN in the Philippines. He holds an MPP from The University of Chicago and a JD from the Ateneo de Manila University. I am delighted to announce that Grameen Foundation’s Mobile Microfranchising and AppLab initiatives in Indonesia were recognized at the 2012 Citizens Awards, sponsored by the American Chamber of Commerce Business Civic Leadership Center (BCLC) and held on December 6 in Washington, D.C. Our project partner, Qualcomm – through its Wireless Reach initiative ™ – received the “Best International Ambassador” award for its collaborations with Grameen Foundation and our local partner, the social enterprise Ruma, on these projects. The award identifies a successful social, community or environmental initiative that positively impacts one or more developing countries. 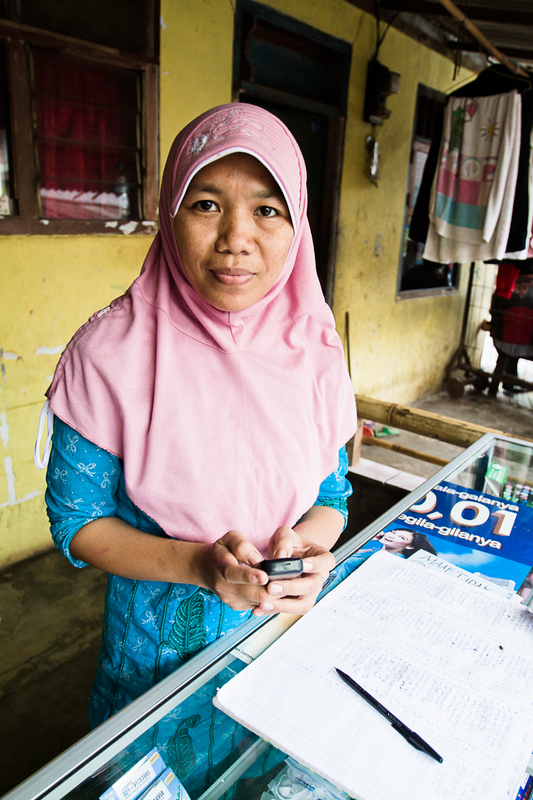 Through our project with Wireless Reach and Ruma, we have enabled poor entrepreneurs, most of whom are women, in Indonesia to offer a range of mobile phone-based services to people in their communities. This effort provides a profitable business opportunity to those living below the poverty line while giving communities access to information and services that can increase their income and improve their lives. Grameen Foundation and Qualcomm believe that mobiles phones play a critical role in alleviating poverty. This recognition from BCLC highlights the growing support for that vision. Our experience in Indonesia, a vast country of more than 16,000 islands and 234 million people, is providing important insights about the benefits of mobile connectivity. With approximately 75 percent of the population living below $2.50 per day, the lack of affordable access to telecommunications remains a problem, which places a large percentage of Indonesians in rural areas at an economic and social disadvantage. However, the availability of affordable mobile phones and a rapidly growing 3G network is enabling rural communities, through our AppLab project, to access high-value social applications via mobile phones to close information gaps and reduce market inefficiencies. On average, these entrepreneurs have increased their income by $1.10/day by providing mobile-based services in their communities. As of November 2012, more than 15,000 Ruma entrepreneurs have served more than 1.5 million unique customers. More than 82 percent of the businesses are owned by women and 100 percent of Ruma entrepreneurs are profitable. We have also found that, on average, the entrepreneurs increased their income by $1.10/day, which is a substantial increase in their livelihood (63% of the portfolio lives on less than $2.50/day). These results have been more than encouraging. We have seen a steady increase in overall living conditions for micro-entrepreneurs such as Ibu Nur Zanah, who operates a home-based business that sells used clothes, while her husband sells soup on the street. Their household lives on approximately $2.00 per day, which barely provides for their two children, aged seven years and 15 months. 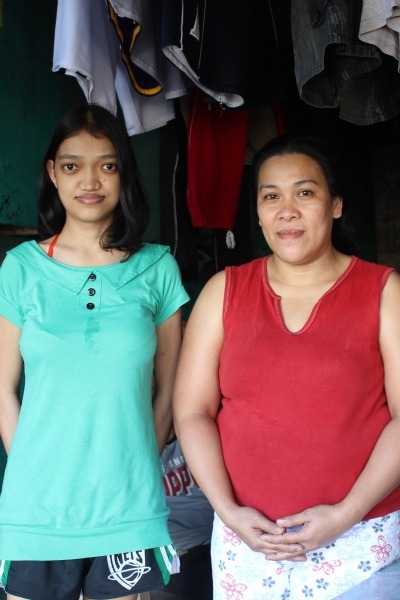 As a Ruma Entrepreneur, Ibu increased her household income by 100%, earning an additional $2.00 per day, moving her family above the poverty line. The ultimate goal for the Mobile Microfranchising and AppLab projects is to empower more entrepreneurs like Ibu Nur Zanah. We are honored that our program has been recognized by BCLC, and proud to be working with Qualcomm and Ruma on projects that demonstrate the significant impact that mobile technology provides for people who were previously technologically isolated. We look forward to expanding these projects to further help, encourage and move more people and communities above the poverty line. A simple and widely available tool – the mobile phone – is creating substantial impact in the developing world, changing the lives of low-income individuals, especially in rural communities. Today, 6 billion mobile phones are being used throughout the world, with approximately 75 percent of users living in developing countries. In Indonesia, “mobile microentrepreneurs” are already helping other poor people in their community find jobs and get information on market prices for their goods. Recognizing the opportunity offered by this technology, Grameen Foundation and eBay Foundation began working together this summer to build solutions that address market challenges facing microentrepreneurs in Indonesia. Our joint effort will support Grameen Foundation’s Mobile Microfranchise initiative, which currently works with a network of more than 10,000 women microentrepreneurs, heavily concentrated in the West Java region. This network, which is managed by Ruma – a social enterprise that Grameen Foundation helped to incubate and grow – currently reaches more than 1 million customers. In this piece on The Huffington Post, Alex Counts, President and CEO of Grameen Foundation, and Lauren Moore, Head of Global Social Innovation for eBay Inc., and President of eBay Foundation, discuss our new collaboration. Shannon Maynard is Director of Bankers without Borders®, Grameen Foundation’s skilled-volunteer initiative. Maynard has more than 15 years of experience in nonprofit management and volunteer mobilization. Before joining Grameen Foundation, she served as Executive Director of the President’s Council on Service and Civic Participation, and managed strategic initiatives for the Corporation for National and Community Service, a federal agency. This post is the second in a four-part series; you can read her first post here. While in Hong Kong, I start my days with the “international breakfast buffet.” In my travels, I have actually grown fond of this tourist and business traveler’s treat. I can have a hybrid breakfast of dal and danish in Bangalore, pad thai and pancakes in Bangkok, or dim sum and doughnuts in Hong Kong. The international breakfast buffet is particularly appropriate in Hong Kong, a truly international city to which everyone’s path seems to have spanned several global cities. As I begin the next leg of my travels, I leave Hong Kong reflecting on the many social-change agents I met. Just as my hybrid breakfast blends the best of multiple food traditions, these folks blur the lines between the social sector and corporate sector when it comes to fighting global poverty. On Monday, I spent the day with the dynamic women of Grameen Foundation’s Hong Kong office – Sonia, Christina, Dilys and Sharada. Their careers have zig-zagged from banks and consulting firms to social enterprises and Grameen Foundation. They are all equally effective in their roles – which largely focus on cultivating corporate partnerships and donors for our work in Asia – because they know how to make Grameen Foundation’s work accessible to different audiences. They take the time to explain microfinance, social enterprise and other terms that we take for granted, and can do this easily because they truly understand how we are trying to improve the lives of the poor and poorest. 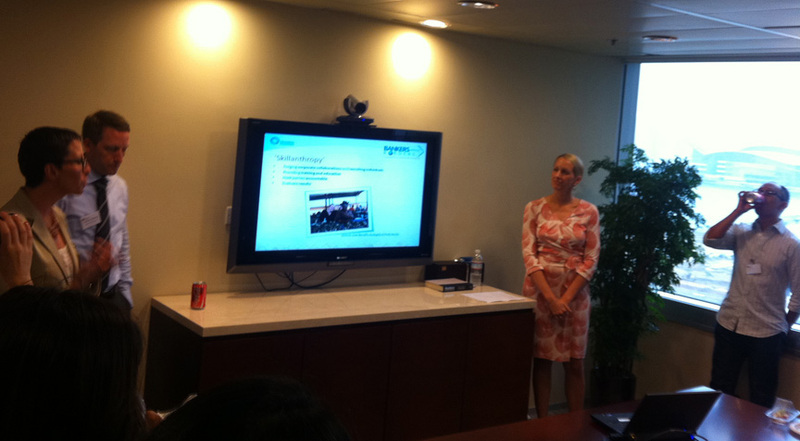 Shannon Maynard (left) meets with Grameen Foundation staff in Hong Kong. On Tuesday, I had the chance to kick off the Bank of America Merrill Lynch(BAML) CSR Lunch and Learn series. I impressed by the sheer turnout (including a waiting list for the event!) as well as by the diversity in the room. Some of the most senior people in the Hong Kong office attended the event and were the first to inquire during Q&A about how their teams could get more involved with Bankers without Borders. I have no doubt we will find a way to put their commitment and skills to work in the near future. Melissa Moi, who recently left a prominent post with a well-known NGO in Hong Kong to join BAML’s Corporate Philanthropy team, has a clear vision for how skills-based volunteering can help further the Bank’s philanthropic objective of helping women and children in the Asian-Pacific region. Shannon Maynard is Director of Bankers without Borders®, Grameen Foundation’s skilled-volunteer initiative. Maynard has more than 15 years of experience in nonprofit management and volunteer mobilization. Before joining Grameen Foundation, she served as Executive Director of the President’s Council on Service and Civic Participation, and managed strategic initiatives for the Corporation for National and Community Service, a federal agency. This post is the first in a four-part series. The summer after I joined Grameen Foundation to run Bankers without Borders (BwB), I had the pleasure to travel to Shanghai, China, where we had amassed a significant pool of advocates for our work – the “Shanghai Volunteers.” I met with these inaugural members of our BwB community (organized by uber-volunteer Susan Place Everhart) and joined Jennifer Meehan, our Regional CEO for Asia, in meetings with potential corporate partners for Grameen Foundation’s work in the region. After spending time in Shanghai, I then traveled to Bangalore, India, where BwB was undertaking one of its first corporate collaborations and field-based projects in Asia, with Grameen Koota and a team of volunteers from Accenture, Dow Chemical and Citi. It’s now three years later, and I am headed to Hong Kong – Grameen Foundation’s regional headquarters for Asia – to spend time with Sharada Ramanathan, the extraordinary woman behind BwB’s presence today in Asia. Working with Grameen Foundation’s regional staff, we’ll brainstorm how to continue to deeply integrate volunteers into the way Grameen Foundation does business – from helping us fundraise and addressing our own capacity gaps, to creating standard roles for volunteers in delivering our programs and services in Asia. We’ll also look at how we continue to share the skills and expertise of volunteers in our database – more than 20% of whom are based in Asia – with other social enterprises that have a market-based approach to improving the lives of the poor. 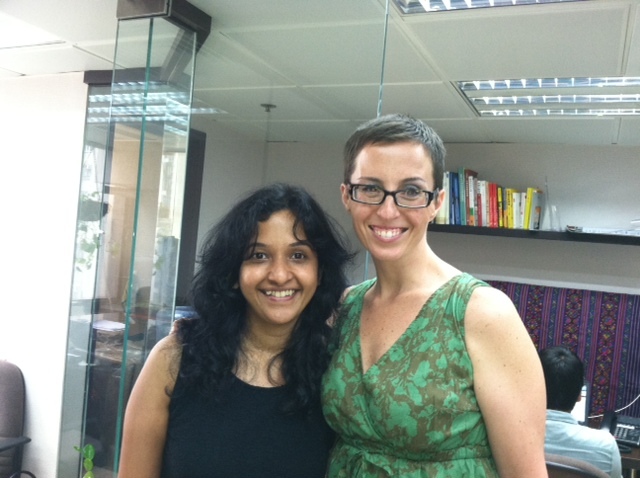 BwB Regional Program Officer for Asia, Sharada Ramanathan (left), and Director Shannon Maynard are spending a week meeting with volunteers and supporters in Hong Kong. As I prepare for this trip, I think it’s worth reflecting on some of BwB’s successes, failures and insights from our three-year history in Asia.